Lounge Lizard is globally recognized as a New York website design companywithin the web design and development industry. Lounge Lizard's brandtenders are creative, tech-savvy, and passionate in developing innovative strategies that drive conversion for both startup and established clients of all industries, making them the "best of breed since 1998." How do you craft the type of website that captures the user's attention and keeps them engaged? Crafting an engaging user experience isn't accidental; it takes planning and vision if you expect users to enjoy an amazing experience. Today NY based web design company, Lounge Lizard, talks about 7 Simple Steps for Designing an Engaging User Experience. 1. Design for the user. Does this sound redundant? It might but at the same time it is the most important thing to remember when you start planning for an engaging UX; the users are the people you should be catering to. That means ignoring your own preferences, ideas, and even tastes and instead considering exactly what the user will experience at every stage and what you can do to ensure their journey is the most interesting, interactive, and relaxed one they can take. The design team needs to focus on meeting all of the users' needs. Before you can truly create a great UX you need to study and understand the business. That means learning about goals and wishes for the business, reviewing what the competitors are doing, and understanding what has worked or failed in the past. Talk to as many people in different departments to obtain a fuller understanding of the business process and what others perceive as problems or strengths. A good web design firm should always remember to be the advocate for the user because the users are not represented by anyone else during the planning meetings. The best websites are a combination of meeting both the user's wants and needs and meeting the client's objectives. If a client needs ABC on their website, then you need to provide ABC but in a way that works for the users. User groups are invaluable when it comes to creating a great user experience. This takes research into clients and potential clients to create specific groups that focuses on what each group will do on the site. For example, some people visit specific sites to kill time. Others go to a site to make a purchase. When you focus on groups based on actions or activities you gain better insights that can be used to tailor a better experience for that group. While user personas are also useful, they are better suited for tailoring content to attract users while user groups are a better method to use for designing around behavior patterns. The goal should always be the fewest steps possible to complete any action or task. Anything that distracts users, possibly confuses users, or does not provide value to the user is unnecessary and should not be a part of the site. If you are making people take three actions when you can do it in two, always choose two. A site should be simple, fast, and easily understood. It helps to design from a mobile perspective and then work up and out. There is less space available on mobile phones and tablets and that space, while restrictive, is also useful in keeping your design as streamlined as possible. By this we mean a site should be designed in a way that appeals to a toddler. Using slightly oversized elements such as buttons, sliders, or input fields always increases engagement levels because those are easier to use. Labels should be clear and easily identifiable. Colors should contrast well to make elements easy to read and view. While some people think this method is "dumbing down" a site, what you are really doing is making everything very simple and straightforward. Lounge Lizard Website Design Company is an award-winning, high-end design boutique specializing in website and mobile app development, UX/UI, branding, and marketing. 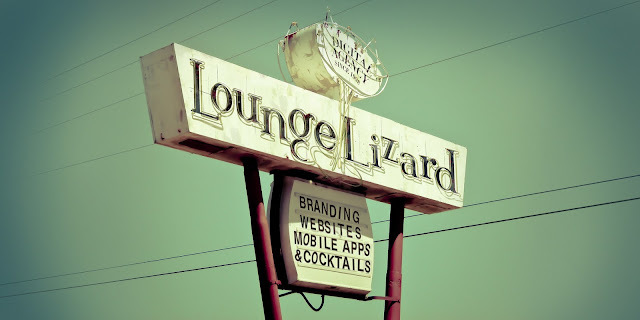 Lounge Lizard excels in creating the ultimate brand strategy, fully loaded with expertly crafted visuals that work together to increase sales and effectively communicate a client's unique personality.